Havana, 26 February, 2007. 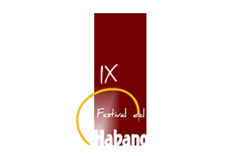 – Habanos S.A., the world leader and number one Premium cigar, has presented today in the Habano Festival its star launch for 2007: Maduro 5, the new Cuban maduro (dark wrapper) cigar line from Cohiba. 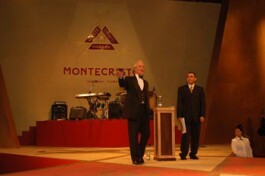 It also announced the launch of Reserva de Montecristo, homage to Montecristo No. 4 band, the best selling factory size in history, with over 1 billion cigars sold since its launch in 1935. Maduro 5, the new line to be added to the Cohiba brand, will complement the internationally renowned Clásica and 1492 (Siglos) lines, and it will be presented officially during the Welcome Night. This is traditionally the opening event of a week of activities designed for the enjoyment and delight of Habano lovers, and which has set a new record number of participants in its ninth edition this year. Maduro 5 is heir to the best tradition of Cuban dark wrapper cigars (capa madura), which uses the upper leaves of the plant and obtains its characteristic range of dark colors and texture through a long, complex process of fully natural fermentation. This wrapper, enhanced by 5 years of aging, is used in the new Maduro 5 line, and grants unique characteristics to its three sizes. The three Maduro 5 factory names are: Genios, (girth 52 x 140 mm); Mágicos, (girth 52 x 115 mm), and Secretos, (girth 40 x 100 mm.). All three sizes are in line with the latest market trends. Maduro 5 has its own unique image within the brand. The traditional Cohiba ring band has been complemented with a lower black stripe with the marking Maduro 5. The wooden boxes are also darker in color than the Clásica and Los Siglos lines. The second major launch of this year, Reserva de Montecristo, pays tribute to Montecristo No. 4, the flagship factory size of the brand, and to its smokers, and will be officially presented during the closing ceremony of the Festival. The wrapper, filler and binder leaves of Reserva de Montecristo have been aged for three years. These cigars are packaged in luxury black-lacquered cases, of 20 double-banded cigars: the brand’s and the reserve’s specific ring. This Special Release consists of 5,000 numbered cases and is reserved for true lovers of a good Habano. With the launches of Cohiba Maduro 5 and Reserva de Montecristo No. 4, the Habanos Group (Habanos Corporación and Authorized Habano Dealers all over the world), whose turnover in 2006 reached 370 million dollars, consolidates its strategy to market Premium cigars as true luxury products. The current difficulties and restrictions that the tobacco sector is facing these days are influencing and changing the smoking habits of consumers, who in view of the existing restrictions for smoking favor cigars of higher quality and price. According to the Commercial Vice-president of Corporación Habanos S.A., Manuel García, this is the main reason behind the fact that despite the slight increase in unit sales, the sales of Habanos have grown considerably: 8% over the previous year. García pointed out as well that the Casas del Habano have consolidated over he last year as the ideal formula to contribute to the success of sales of Premium Habanos, and to the dissemination of the Habano culture in all markets. 20 new Casas del Habano were opened in 2006 in different locations, increasing the total number of Casas del Habano in operation to 115. One of the launchings for this year is the Edmundo size in an aluminum tube with a new image added; the same image will be used for the Petit Tubos and Montecristo Tubos. As to Limited Editions, Habanos stressed out that not only their wrapper leaves are aged for two years as it is customary, but filler and binder leaves are too. This year’s Limited Editions are: Escudos de Romeo y Julieta (girth 50 x 141 mm in the length); Regalos de Hoyo de Monterrey (girth 46 x 127 mm in the length); and Ingenios de Trinidad (girth 42 x 165 mm in the length). As to Special Editions, exclusively aimed for Las Casas del Habano, the company will present a replica of an Ancient Humidor from Partagás, a stunning and elegant humidor which according to the original owner, was sold during the first decade of the 20th century. Only 200 replicas of this humidor will be sold, containing “50 Sobresalientes” (girth 53 x 153 mm long), exclusively manufactured for this Special Series. Volume No. 7 of the Habanos Collection, dedicated this time to the prestigious H. Upmann brand, will be launched to the market for lovers of exclusive Habano. This case contains 20 “Magnum Especial” cigars (girth 55 x 170 mm long), a size especially designed for this Collection comprising only 500 cases. As regards to the new image of the tubes, the Churchills size of Romeo y Julieta, and the H. Upmann Coronas Major and Coronas Junior, present their new packaging with a completely new image, maintaining however the identity signs and traditional attributes of these brands. Finally, Habanos S.A. has selected the following markets for the Regional Editions (exclusive sizes): Middle East, Canada, Asia Pacific, United Kingdom, Benelux, Spain, Switzerland, Mexico and the Baltic region. Midlle East: Double Coronas by Bolívar (49 x 194 mm long). Canada: Simones by Bolivar (48 x 127mm long). Asia Pacific: Robustos de Larrañaga, by Por Larrañaga (50 x 124mm long). United Kingdom: Magnífico by Por Larrañaga (50 x 170 mm long). Benelux: Especially Selected Gran Robusto by Ramón Allones (50 x 155mm long). Mexico: El conde 109 by Edmundo Dantes (50 x 184mm long). Habanos Corporación, S.A., world leader in the “Premium” cigar market, sells Habanos in Cuba, and in over 120 countries, through its exclusive dealer network with a presence in all five continents. Habanos S.A. currently markets a range of products covering over 220 formats under its 28 premium brands, such as Cohiba, Montecristo, Romeo y Julieta, Partagás, Hoyo de Monterrey, H.Upmann, Punch, San Cristóbal de la Habana, Trinidad y Cuaba; among others. Habanos s.a. closes the 9th Habanos Festival with the launch of Reserva Montecristo No. 4.